PLEASE NOTE: ESVC ONLY ACCEPTS PAYMENTS BY CREDIT CARD OR PAYPAL. Please look to the bottom of this page for instructions on obtaining or renewing your ESVC membership. BANK TRANSFERS OR OTHER PAYMENT METHODS ARE NO LONGER ACCEPTED. Dues paid after October 31st, 2018 will be credited towards membership for 2019. Renewing member dues must be paid by March 1st, 2019 to retain continuity of journal delivery. Dues must be paid by February 28th, 2019 to receive discounted registration to the ECVIM Congress. 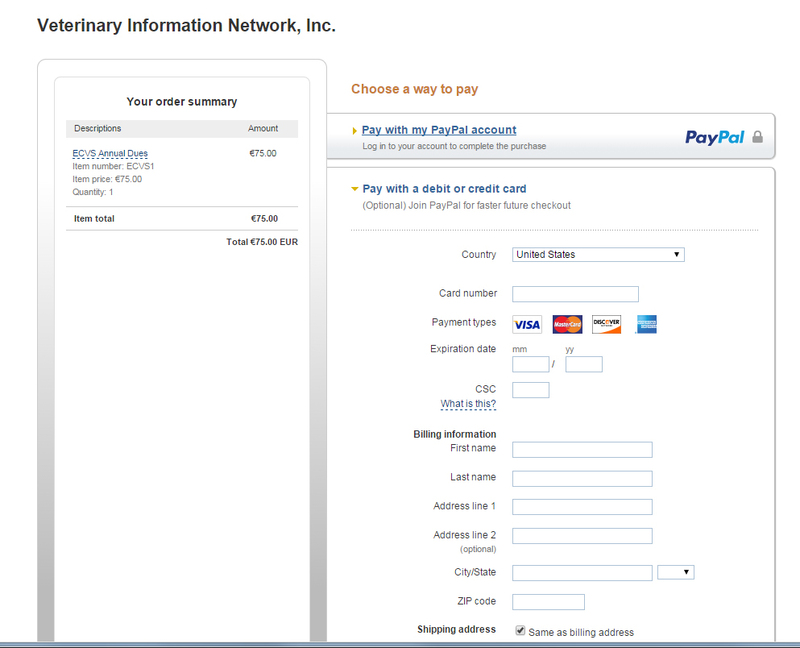 ESVC now only accepts payment via the VIN-powered Paypal-linked secure payment processing website. Payment options include PAYPAL, VISA, Mastercard, Discover, or America Express. Maestro and other cards will not be accepted. Fee for 2019 is €75. Please ensure that your credit card provider (bank, credit union etc) permits international internet transactions. If in doubt, please contact your credit card provider before attempting to register for 2018 to ensure that the transaction will not be blocked when you submit your registration payment. 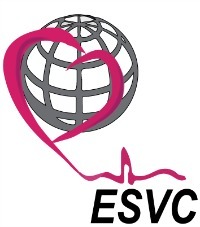 Please click the "Join ESVC" button below to complete your registration. You will be taken to a PayPal payment site to allow you to pay for the 2019 membership. If you wish to pay from your PayPal account, log in and proceed to pay. 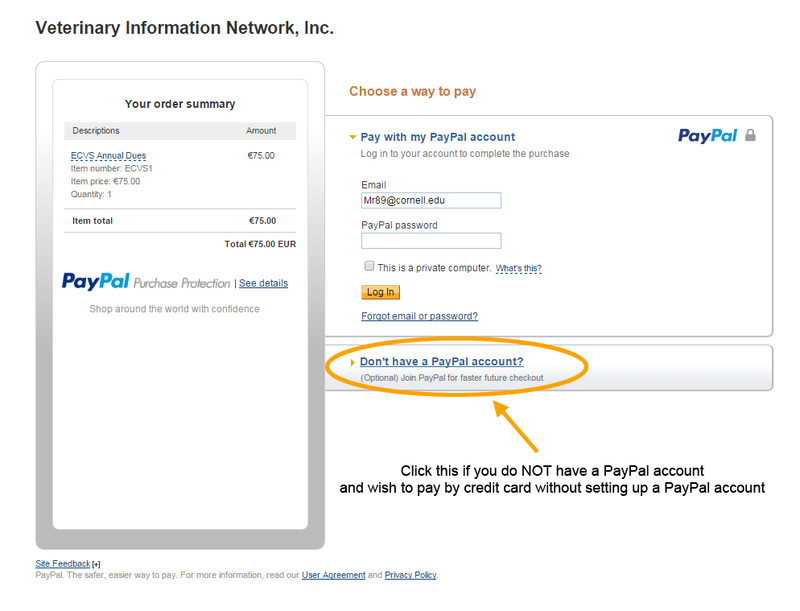 If you wish to pay with a credit card, and do not wish to create a PayPal account, select the lower option (circled in the image above). NOTE: In some countries in Europe, this option is NOT AVAILABLE. In these countries, you will need to set up a paypal account. You can then proceed to enter your credit card details and complete your transaction. Please make sure to provide your billing address and your mailing address (if different from the billing address). The journal will be sent to the billing address if no other mailing address is provided.